The device will let players move and not look at the phone. The device is connected through Bluetooth and uses low energy. 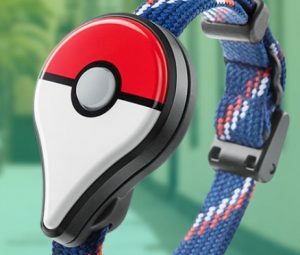 The device alerts players of events in the game such as a Pokemon nearby or a Pokestop. If a PokeStop is nearby, the player can press a button on the Pokemon Go Plus and the items will immediately be added to the inventory.